I don’t buy a lot of Beastlies. It has to be a case of love at first sight. Such was the case with the newest edition to my little monster family, Nokie. 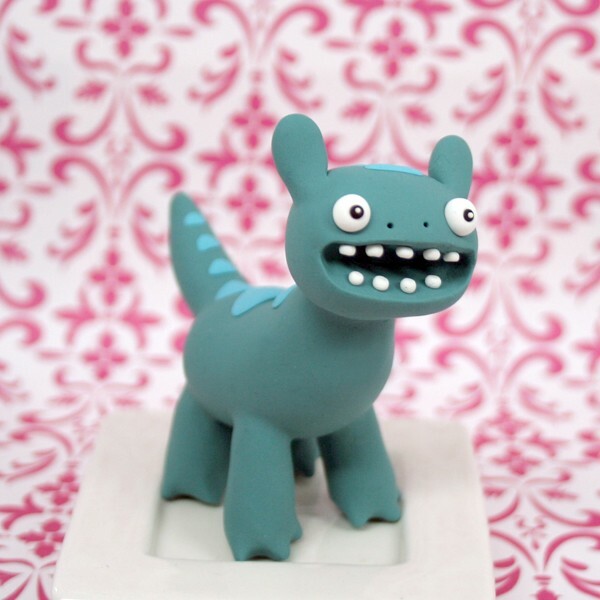 If my childhood self was reincarnated into a tiny clay monster, this is what it would look like. I was a little crazy, very happy, and totally uncontainable. I particularly like the little almost-heart shaped spots on his back, and messy teeth. What a gem. He is a carefree, tiny me, and for that, he earns a permanent spot under my computer monitor. He is my little treasure, and he seems to know it.